Click on the link above to hear Silver Laughter play a cover of this Boz Scaggs tune. During the period when discos were taking over the club scene, the band had to learn some songs that we would normally not do. And major recording artists even put together a few hits that were of a disco flavor. This was one of those. Jon sings lead. The photo comes from one of the Worthington outtakes which manager, Art Stenstrom, took of us after Paul joined in 1976. 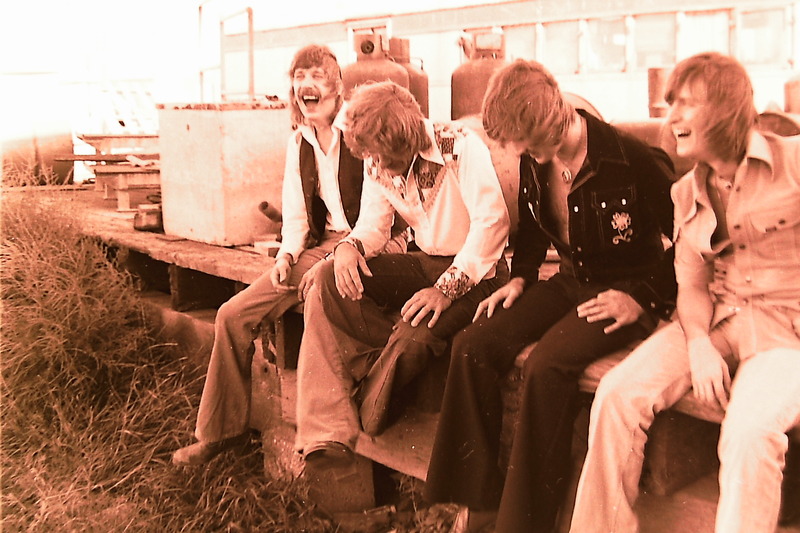 The lineup is the same one who played on the song above which was recorded two years later in June of 1978 at The Ranch & Company in Port Byron.